Costs – Local tree removal, maintenance, stump removal and grinding costs for Worcester, Massachusetts. FAQs – Guide to Worcester tree removal tips & regulations, thriving trees, state tree information, current pests & diseases and more! Services – List of local arborists in the Worcester area for hire. How Much Do Tree Services Cost in Worcester? If you have been considering additional maintenance on the existing trees on your property, costs play an important factor. Tree service costs range from a few hundred dollars to several thousand, depending on the type of work you need done. Here are a few things to consider when it comes to tree removal and tree maintenance. A landscaping professional will ensure safety measures are being taken for proper tree removal. A qualified tree removal company will cut down the tree and remove the stump. For an extra charge of up to $50 per tree, a stump grinder will leave behind a clean surface. Tree removal services in the Worcester, MA area average about $800 per tree. Trees requiring extensive trimming and take down measures will cost several hundred dollars more. Stumps can be troublesome to remove unless you have a professional stump grinding machine. Hiring a company a professional saves time. A few reasons to consider stump removal include a clear area for building and landscaping, reduced risk of injury or tripping over the stump, improved water drainage and reduced risk of insect infestation and tree disease. The average cost to grind a medium tree stump in Worcester, MA is around $78. On a high end, it can cost up to $140 for removal. To maintain your existing landscape, cutting back overgrowth from trees and large shrubs is essential. Tree trimming helps prevent mold and moss overgrowth on the home. Tree branches can interfere with power and cable lines, causing power outages and poor signals to the home. Pruning and cutting large trees helps improve the look and value of your property. The average cost to hire a professional to maintain your shrubs and trees is around $412 per season. Worcester, Massachusetts is a thriving landscape for many types of trees. Because of the Worcester Tree Initiative, more than 30,000 trees have been planted around the urban area in addition to the trees around residential homes since 2009. Here are some facts tree owners should consider before planting or replacing trees in the city. There are some rules and regulations set forth by the city of Worcester, MA that prevents the unwarranted removal of trees from your property and adjoining public property. You will need a permit and permission from the city if the tree is encroaching on someone else’s property or the within 10 feet of the road or street. Large trees over 25 feet tall will require you to have a permit with specific details about who will be removing the tree as well as their insurance and license information. Failure to receive the proper permit or city approval can result in ticketing and fines in excess of $100 or more. When deciding on a time frame to take down or trim up a tree on your property, there are several things to consider. Worcester, MA sees visibly cold weather around the first week of November. It isn’t unusual to have snow and freezing temperatures anytime after mid-October through the early spring months of late March and very early April. The best time to plan for tree removal would be in mid-spring before the tree sees a significant growth spurt. This time frame avoids dealing with additional branches and suckers with leaves that could cause challenges with trimming and removal. When purchasing new trees for your property, it is important to consider overall upkeep. There are some trees that require consistent seasonal maintenance like the birch and ornamental cherry. 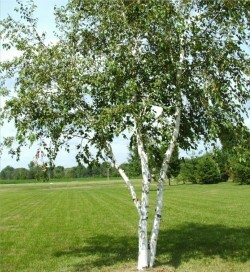 The birch is well-known and sought after for its large, overflow of small leaves and quick growth. One of the most distinct factors is the white stand-out coloration of the trunk and branches. They are often sought after as an ornamental tree or a tree that can provide protection and coverage from neighboring eyes. Many homeowners set their new trees up for failure by not allowing them to be in cool, moist soils. 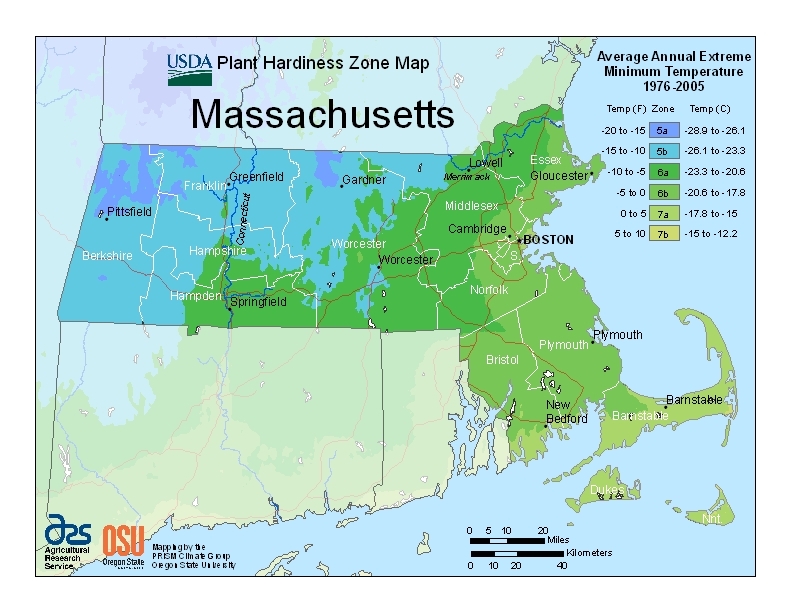 Because the summer temperatures in Worcester, MA can reach into the high 80s, this can cause the roots to die prematurely. Most healthy birch trees can live in upwards of 40 to 50 years, but if not properly placed and maintained, they can die off before 20 years. The ornamental cherry is a favorite in Northeast climates. There are several cherry varieties but the ornamental cherry strikes a beauty that is prized as a front yard centerpiece and accent to the home and surrounding plant species. The problem with this tree is that it requires support during early growth and it needs trimming and fertilizing twice a year for optimal growth. Similar to a bonsai, it needs to be maintained to allow it to grow into the desire shape. Hiring a professional landscaper to maintain this type of tree is recommended if you don’t have the time. The state tree of Massachusetts is the American elm. 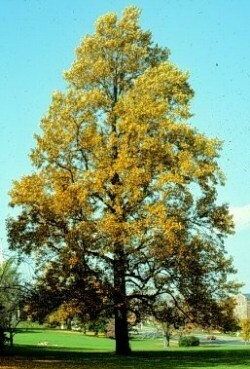 Also referred to as the water elm or white elm, this species of tree is native to the area. While a beautiful tree that offers substantial growth and overhead protection, the white elm is also very susceptible to disease, in particular Dutch elm disease, which is a condition that is caused by a fungus and carried by the bark beetle. It can be very destructive to a tree and cause branch death which leads to the demise of the root system. Many can be found in abundance throughout forests and parks in the region. They are also sought after by homeowners to add interest to a new or existing landscape. One of the tallest trees in the area is the white pine, which can reach well over 150 feet. On the opposite spectrum, one of the smallest trees in the region is the dwarf willow which only grows a few inches in height. Fruit trees are popular but require a lot of care and maintenance. Popular choices include plum, apple, apricot and cherry. The area is well-known for its beautiful cherry blossoms which are a spring-time visual event. Maintaining trees and shrubs is essential in to the health of the tree and the look of your yard. Hire a professional to take care of all of your landscaping and tree removal needs.